Planning a bridal shower will be fun and easy with our beautiful collection of bridal shower guest favors, gifts and party supplies. Most bridal showers are fairly informal. They can be held in a restaurant, catered at a country club, located in a church basement or a hosted in a private home. We have supplies and decorations for any location, whether it’s formal or informal. Choose from lots of cute bridal shower themes, such as a frog prince bridal shower theme, a “Honey Do”, or “Buzz” theme, and a black and white theme. Another inexpensive idea is to mix and match solid colors that match the wedding colors . Remember, the main focus for a bridal shower should be the guest of honor. If it’s fun for her, it will be fun for all of the guests. Consider ID buttons that identify each person and their relationship to the bride or groom-to-be. It’s a great ice breaker and real conversation starter. Also available in Spanish. 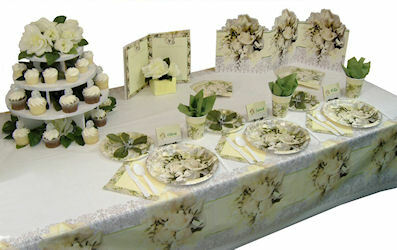 Check out our information page on “Planning A Bridal Shower” for lots of great tips and suggestions. Bridal Shower Favors are a small but important part of the shower planning. Every guest loves getting a small token at the shower, and that memento doesn’t need to be costly. It can be as simple as a homemade cookie, wrappedindividually and tied with a ribbon. We have lots of bridal shower favor ideas. 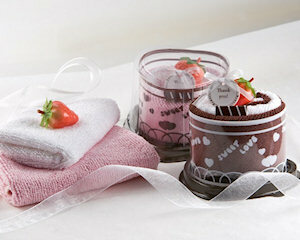 How about an adorable Sweet Heart Towel Cake Favor? You may want to consider coordinating the favor with the theme of the bridal shower. There are so many favors to choose from that you won’t have any trouble finding something you like. If you are going in on a gift with others, you may want to combine something practical with something fun. 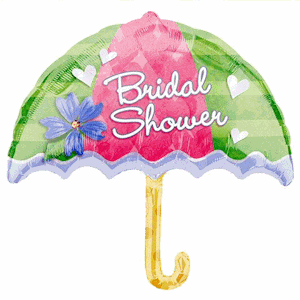 We specialize in FUN bridal shower gifts!